Viruses have been described as "organisms at the edge of life", unable to reproduce outside the cells of those they infect. But this status has not impeded their evolutionary success. Children, in particular, experience a multitude of viral illnesses during their early years, which gradually reduce over time as their natural immunity develops. The most relevant factor is the infectiousness of a virus, often summarised in a measure known among epidemiologists as its "reproduction number". This describes the average number of secondary infections produced by one ill individual. Consider the most commonly transmitted viral illness, the flu: about 10% to 20% of the population is infected by one of the circulating influenza viruses each year. Symptoms vary from a mild "cold" through to severe respiratory infection requiring hospitalisation. 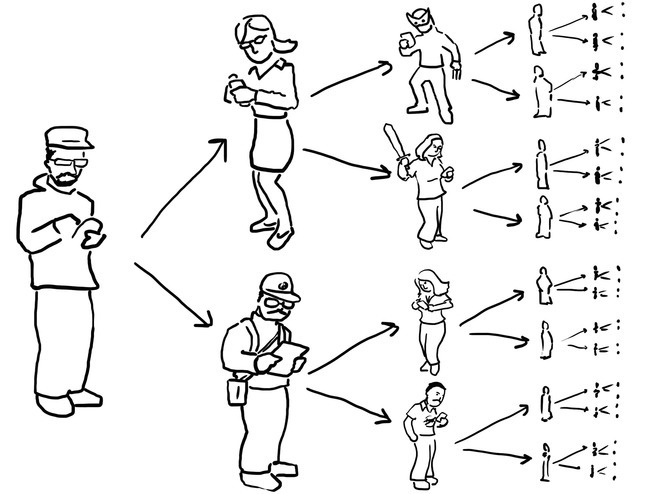 So it's perhaps surprising that the reproduction number of influenza is relatively low; each infectious person infects only one and a half other people - or put another way, two infectious people produce, on average, three new cases of influenza. If we could get that reproduction number below one, incidence numbers would decline as, on average, each infected person would not necessarily produce a successor. What makes the flu difficult to control despite its relatively low reproduction number is the fact that people are contagious for a day or two before they show any symptoms. Once they become unwell, they're contagious for a couple more days. But by this stage they're more likely to stay home and avoid contact with others. As half or more of their secondary infections will have been produced before the ill people showed any symptoms, influenza control strategies that rely on identifying and isolating them aren't necessarily going to effectively reduce the incidence of the illness in the community. Another virus that's been grabbing news headlines of late is Ebola. While flu and SARS spread through coughing and sneezing, contracting Ebola requires direct contact with the blood or other bodily fluids of an infected person, or with items such as bedding or clothing contaminated with these fluids. 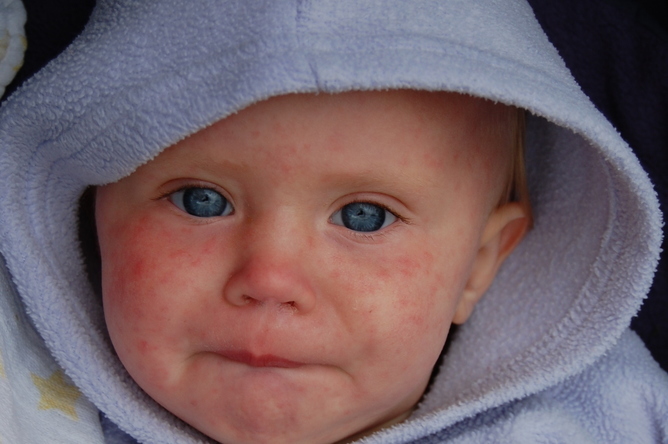 Measles and chicken pox, for instance, are classically identifiable by their distinctive rashes. But they're most infectious in the time between the appearance of non-specific symptoms, such as fever, runny nose and cough, and the development of this rash. This made it very difficult to control their spread until vaccines were developed. As you can see, different viral diseases are most infectious at different times and this timing of contagiousness plays a key role in how successfully the diseases spread. Knowing a virus' most infectious period is vital for working out the kinds of measures that are likely to work to control and perhaps even eradicate it from the community. Jodie McVernon is Associate Professor, Population Health at University of Melbourne. James McCaw is Associate Professor in Mathematical Biology at University of Melbourne. Joshua Ross is Associate Professor in Applied Mathematics at University of Adelaide. Kathryn Glass is Fellow at Australian National University. Nicholas Geard is ARC DECRA Research Fellow, Centre for Epidemiology and Biostatistics, Melbourne School of Population and Global Health at University of Melbourne.